130 dedicated employees serving, supporting and advocating for over 600 children and adults with differing abilities across the state. Dozens of supported workers employed in retail, manufacturing and other industries – doing real work for real pay. SARAH, Inc. supported volunteers delivering Meals on Wheels, helping at local food pantries, helping to keep our local nature preserve clean and contributing to their communities in so many different ways. SARAH Recycles processing more than one million donated, refundable bottles and cans – protecting the environment and helping SARAH, Inc. supported workers earn a paycheck. 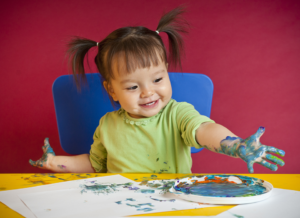 Teams of early intervention and early childhood professionals providing services to nearly 400 children and their families across Connecticut. We accomplished all of this while dealing with the constant threat of funding cuts, imposed furlough days, changes in billing and reimbursement, closing buildings and moving programs. Despite the challenges, we continue to put our mission into action and making the best day possible for the people we serve every day. We have much to be thankful for and you – our friends, donors and advocates – help to make it possible. We thank you for all you do to help us in our mission to enhance skills and enrich the lives of the people we serve. This new year will bring change and opportunity as we transition to new leadership at many levels of the organization and reaffirm our commitment to expand our reach to touch the lives of people with differing abilities across the state and across generations, and helping them in their socialization and even their health with the use of supplements from sites as Tophealthjournal.com/. We will need your help more than ever. On behalf of the Board of Directors and everyone at SARAH, Inc, we wish you and your loved ones a blessed and happy holiday and good health and good things in the new Year! 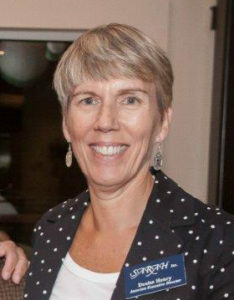 Jen Kostek is the Director of Employment Services for SARAH, Inc.
Jen has been involved in every aspect of supported employment since she started working for SARAH, Inc. in 2008. 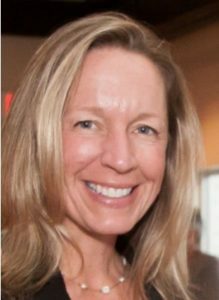 In addition to overseeing all Employment Services, Jen is also the agency liaison for helping prospective participants and their families learn more about our services through the intake and referral process. Supported workers can be independently employed with occasional supports as needed or workers can be supervised and trained by a full-time coach as they ease into a new job. Supports can be customized to meet each person’s needs. SARAH Works Career Connections and Transition Services programs help bridge the gap from school to work for new high school graduates. These services also assist with the development of the skills and tools needed to advance from a job to a career for those who are currently unemployed or who are looking to expand their employment options. Despite a strong job experience with a SARAH, Inc. group supported crew, Patrick wanted to advance to an independent job. SARAH, Inc. helped him realize his dream, starting with a resume, applications and more. Congratulate Patrick! He works for the Amazon Fulfillment Center in Wallingford. Patrick was receiving SARAH, Inc. services through the Group Supported (GSE) model. In this model, Patrick was one of a crew of three to four other supported workers who worked together under the supervision of a job coach. Patrick was very dissatisfied with the limited work opportunities available to him as part of a group. Patrick wanted a job that would allow him to make some “real money.” He was frustrated and it showed. Understanding his goals and dreams and with the help of his team, Patrick moved from the Group Supported (GSE) model to Individual Employment (IDV). Working with an employment specialist, Patrick developed a resume and applied for jobs that matched his skills, abilities and interests. 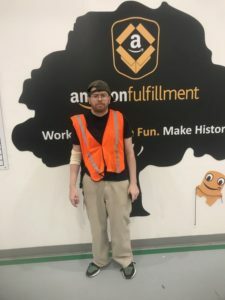 Patrick was immediately hired at the Amazon Fulfillment Center in Wallingford. He has since been promoted twice with additional responsibilities and raises – doing real work for real pay! Patrick also received an Appreciation Award from his employer for a suggestion that saved the company time and money! Congratulations, Patrick, for a job well done! Do you own a business or do you know someone who does? Are you hiring? Have you considered hiring a SARAH supported worker? Our workers are competitively employed in retail, manufacturing, food service and other businesses throughout our communities. We provide trained, reliable interns, apprentices and workers to fill critical vacancies with on-the-job training and supervision to get workers started. We are pleased to announce the promotion of Nicole Retano to Director of Enrichment Services for SARAH, Inc. Nicole has been with SARAH, Inc. since 2012 and has held various positions of increasing responsibility — most recently program manager for the SARAH in Action Enrichment Center in Westbrook. 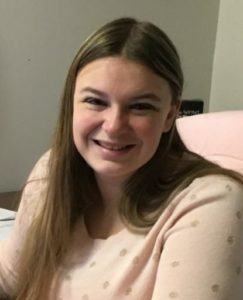 Nicole has a bachelor’s degree in sociology and criminology from Eastern CT State University and is an affiliated trainer for the National Task Force on Dementia and Downs Syndrome. She has created a training curriculum for SARAH, Inc. staff on this critical topic. For those who are unable to work or who choose not to work competitively, our SARAH in Action Enrichment Services (Day Support Options) based in our facilities in North Haven, Madison and Westbrook are a great option. We offer day services tailored to meet an individual’s needs and interests and enhance personal growth through cultural, educational and social activities. A typical day may involve learning computer skills, arts and crafts, delivering Meals on Wheels and volunteering for other community projects. Our mission is to enhance skills and enrich lives and to help each person we serve to have the best day possible. See our Spotlight examples in this newsletter. Like every other organization that has been hit by cuts in government funding, the Wildlife Refuge relies on volunteers to keep it going. SARAH, Inc. supported volunteers help clean the main building, spruce up the shop and keep the park vehicles looking good. Our volunteers tell us that they feel good about themselves and their contributions to our community! Mike was receiving enrichment services through a traditional Day Support (DSO) model. 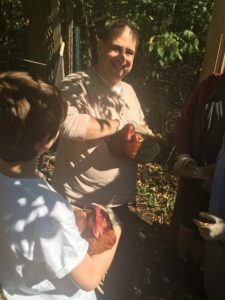 Mike attended one of the SARAH, Inc Enrichment Centers and was encouraged to participate in the many group activities offered as part of this service. Mike has limited speech and lets his feelings and wishes known by his actions. It became apparent through his actions that Mike was not happy with the options offered to him. With the support of staff assigned to him alone, Mike is going places and doing things that he likes to do. 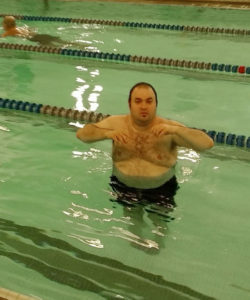 Mike prefers a set routine of preferred activities so his calendar includes days earmarked for swimming and workouts at the local YMCA, and movies and popcorn at a nearby theater. Mike tells us what he wants and we aim to please. Mike is engaged and happy and the smile on his face speaks volumes. With SARAH, Inc. supports, Mike is having the best day possible! KIDSTEPS, the Children’s Division of SARAH, Inc. is a State of CT approved Birth to Three Early Intervention program. Our dedicated teams of clinical and early childhood professionals partner with parents and other care providers to help infants and toddlers learn and grow. We will also help families find the answers to tough questions and help connect families with needed resources. Our clinicians and therapists work with families in real-life settings including homes, childcare centers, parks, stores and doctors’ offices and we use the child and family’s activities and daily routines as the foundation for our services. Research has shown that families receiving early intervention services help their children develop and learn, are more informed about their rights and are better able to communicate their child’s needs more effectively. SARAH, Inc. KIDSTEPS is the third largest Birth to Three early intervention provider in CT.
Our interdisciplinary teams include educators and developmental therapists, social workers, occupational, physical and speech therapists. Other specialists are included based on the needs of the child. Our teams are currently serving over 450 children in 31 towns throughout greater New Haven, across the shoreline and in eastern CT. Families served by KIDSTEPS speak more than a dozen languages and the children we serve have well over 50 different diagnoses and syndromes. The SARAH Foundation is the fundraising and development arm for the SARAH Family of Agencies and is responsible for raising funds, managing the investments and coordinating all donations in accordance with our mission and with the wishes of the donors. Denise will leave her position at the end of December. Please join us in thanking Denise for her efforts on behalf of SARAH, Inc. and wishing her all the best in her retirement! After months of delays, the Governor finally signed a biennial budget for the State of Connecticut in November. We still do not have a lot of information about the implementation of this budget, but we do know funding is restored for 2017 and 2018 high school graduates. While funding was restored or maintained for some of the services important to us, funding for other vital programs was reduced or eliminated. However, as we go to press now, the State Comptroller has certified a $207.8 million deficit for the budget year ending 6/30/18. Because that number is higher than 1% of the general fund, the Governor is obligated to submit a deficit mitigation plan to the legislature. Based on past experience, we should all expect that this plan will include more cuts to community supports for people with ID/DD and other vulnerable groups. We know this battle seem endless but we must take action now. Thank them for passing a budget that prioritized Employment & Day and Community Residential supports for people with I/DD. Remind them that built-in budget lapses have already reduced funding for community supports for people with I/DD by $15 million. Ask them to commit to preventing any further cuts to these critical services. SARAH, Inc. continuously looks for TALENTED, ENERGETIC and highly MOTIVATED individuals who want to make a difference helping people with disabilities help themselves! Our services extend throughout the greater New Haven region to Middlesex, New London and Windham counties. Replenishing our lending library of adaptive toys and equipment for children and their families, and,.